The Story of Our "Cottage Girls Collection"
We began talking about a subscription type box months ago, as we started exploring ways to expand our business and try new things. At first mention I was in love with this idea. I have always loved putting together a great gift basket. First coming up with a theme, seeking out unique items and details that all go with that theme, finally packaging it beautifully. Pair that with home decor and I'm in. We are passionate about home here at the Cottage. 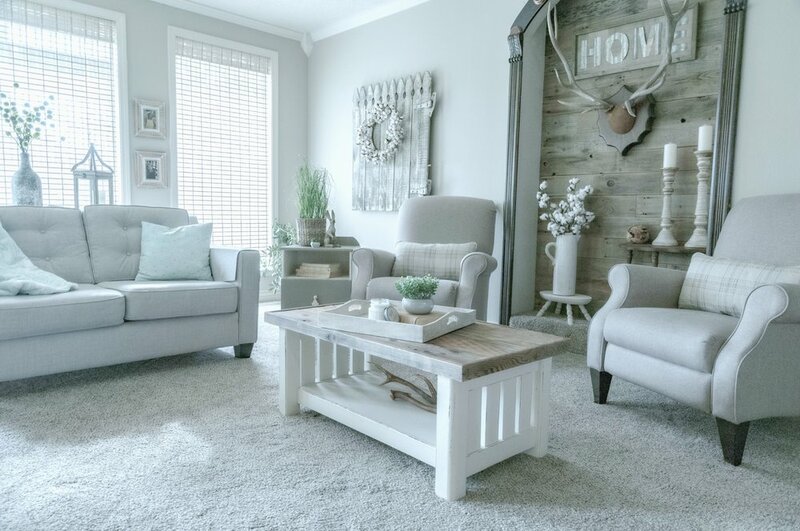 We truly enjoy making our own houses into homes through decor, design, and styling. We get together each week at the Cottage to rearrange, stage and restyle. One of our favorite things to hear our customers say is how they feel inspired by just being here. Another thing we often hear is plea's for us to come to your houses and inject some of what they feel into their own homes. 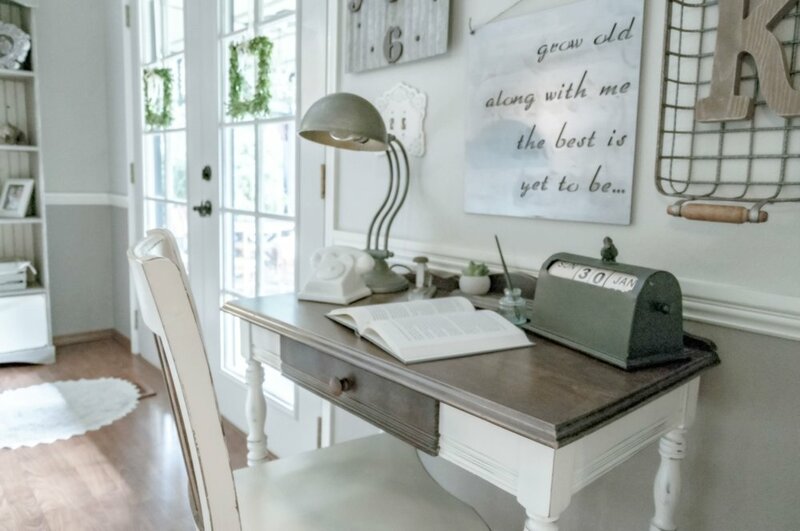 While we are really humbled by hearing these statements, we aren't to the point of of coming in to y'alls home and redecorating, however it would make my heart so happy if I could give you all the same warm, inspiring atmosphere you enjoy here at the Cottage in your homes. Thats what I'd love for this collection to accomplish by giving you 4-6 items that we have selected with the same feel as what we have here at the Cottage, delivered to your door. Items that will add warmth, style, and enhance your home. We believe you should love every item in your home. and so the idea of a home decor collection box was born. 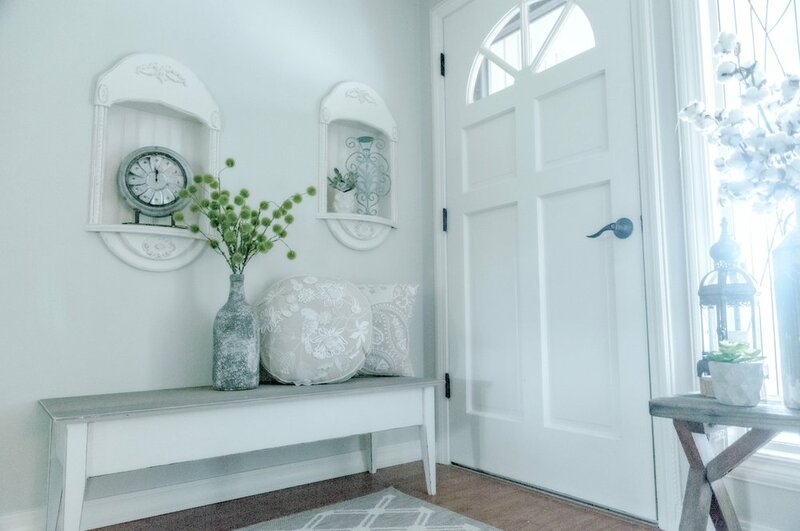 What if you could have beautiful home decor items delivered to your door, and end up with an inspired, warm home, with unique touches? this is the dream of ours!! The dream is a journey for sure, but I believe we've taken the first step. Our May box is a selection of carefully curated items chosen from our favorite sources. We absolutely love supporting local makers and small businesses, so this is a really important element we want to add to each box. We also love to craft ourselves so there is sure to be at least one item handcrafted by us. there will be about 6 items for you and your home. It took some work to get to this point and we couldn't be more excited right now. We jumped out of our comfort zone and learned about selling online, and shipping. We researched boxes, and packing material, we designed a label, and had fun coming up with a name for our box because if we understand anything its that it's all about the details. Most importantly though we searched for items to go inside the box with you in mind. In this collection we had one of our favorite local businesses design something specifically for this box. We added all the materials we feel add to a really well put together space, like the warmth of wood, cleanness of ceramic, softness of fabric, a natural element, and more. I wouldn't want to give away all the secrets. At this point we don't have for sure plans for future boxes, but the ideas are definitely in the works. Actually the ideas are literally endless. going forward we would love to begin offering a seasonal box, four times a year. It gives me butterflies to think about putting together a fall box. Ok I know not everyone gets as excited about home decor as we do here at the Cottage but I do know most people want a comfortable, warm, inviting space for themselves and their families, and that is the very idea of this box. Let us do the work for you, let us do the shopping for you , let us scour our community and sources for the perfect pieces that will make your house into a home.